Get the look and bright light of HID without an expensive conversion! 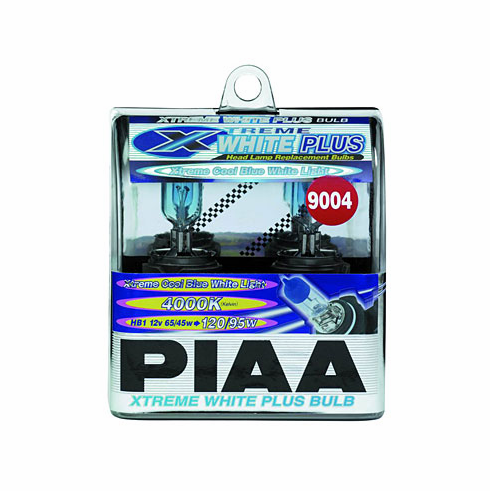 PIAA Xtreme White Plus Bulbs put out twice the light of normal bulbs without using more power! The blue top coat on these bulbs add a slight blue tint to the lamp while still providing outstanding performance. PIAA offers the 9000 Series Xtreme White Plus in four distinct types � 9004, 9005, 9006 and 9007. Manufactured to SAE recommended specifications and DOT compliant.